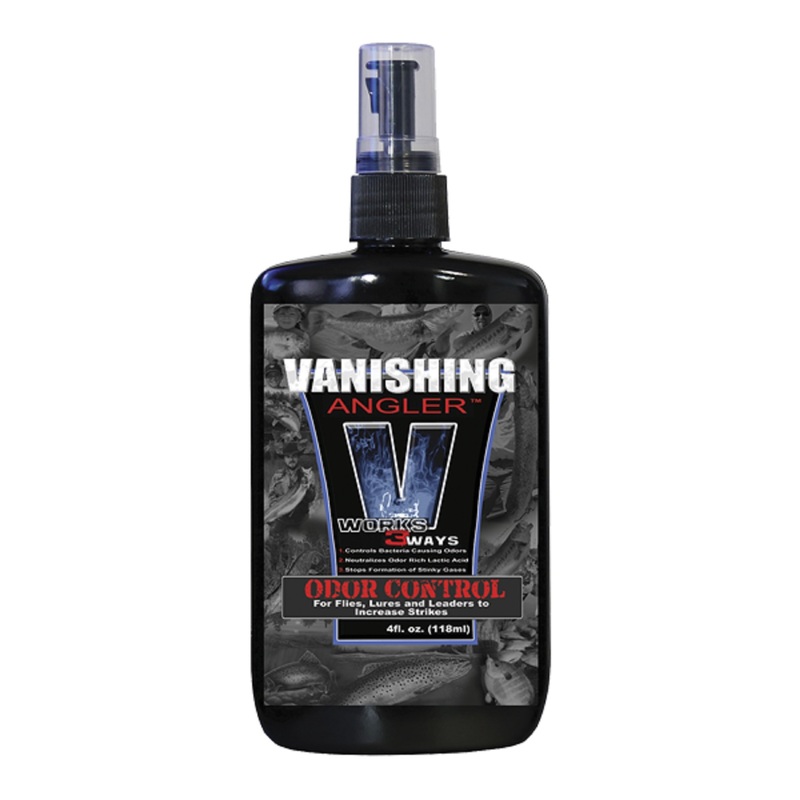 Vanishing Angler spray and wipes last all day long, even if you’re sweating. It’s made of non-toxic, food grade formula that is safe for use on skin. It can also safely be used in your mouth to reduce breath odor. This synthetic compound will not lose its effectiveness because it has an infinite shelf life.